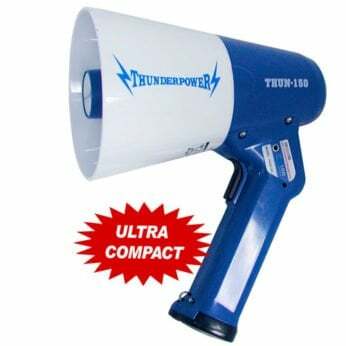 Add for $0.98 / pc. Details: 25 Watts of power, approx. 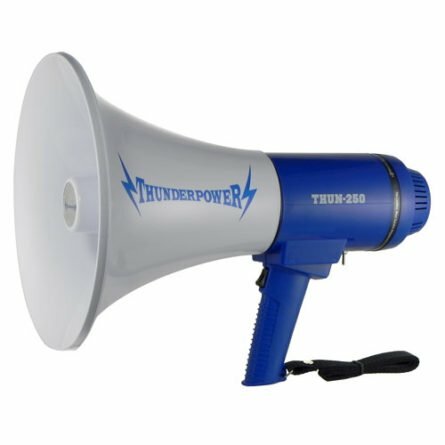 800 yards range. 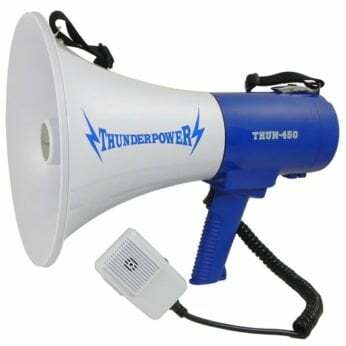 The ThunderPower 250 strikes that perfect balance between power, size and weight. Megaphones this loud are usually much bigger and cost much more. 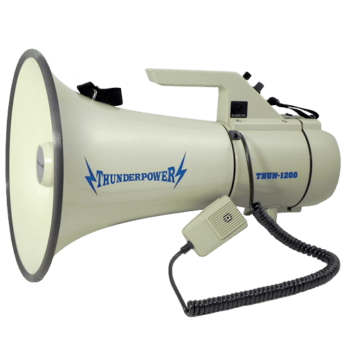 If you need a megaphone for large indoor venues or medium outdoors areas and want something that is still easy to carry around then the ThunderPower 250 is your megaphone! 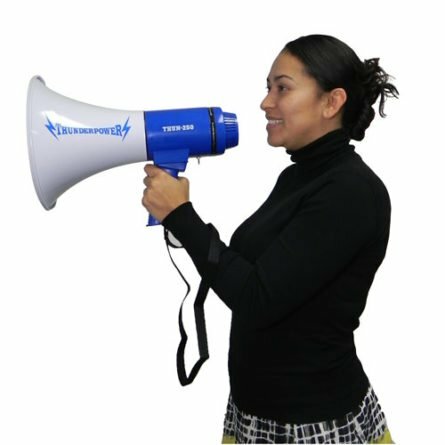 All of our megaphones are tested and certified in the USA so the quality is incredible and we back them by a full 1 year, expedited in-house express warranty so you have complete peace of mind. 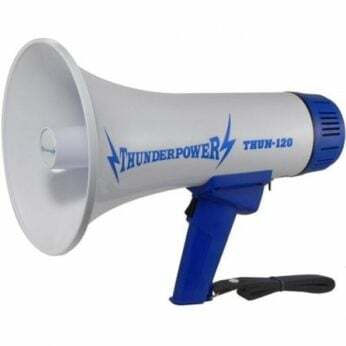 You will be extremely impressed with your ThunderPower Megaphone!